dance on thin branches & to gather their winter fayre. 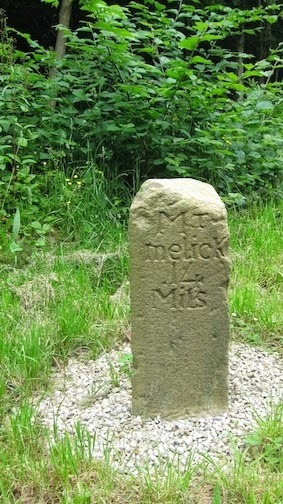 hand carved Milestone. 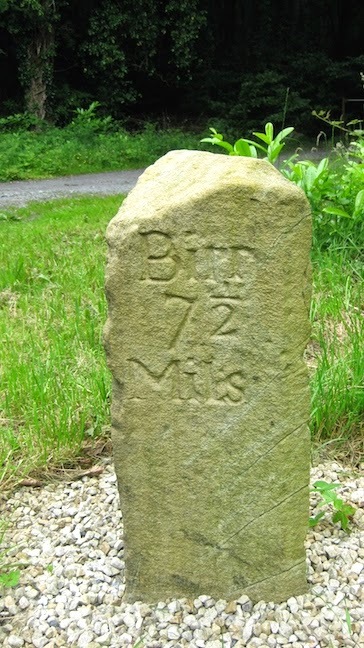 The thoroughfares were littered with them once on main roads and byways, at junctions and forks in odd out of the way places; these sentinels stood marking the path and telling the distance. 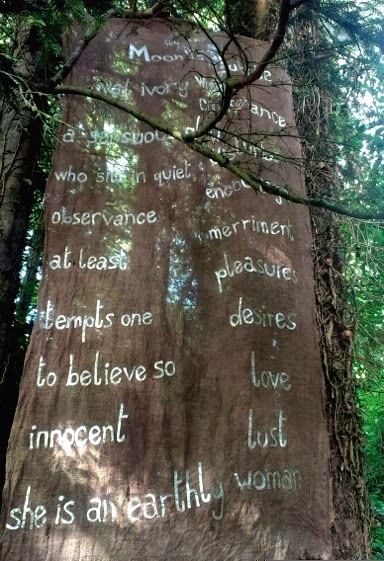 Needless to say I was delighted with this to me novel way of viewing prose. Am pleased to be able to share this with you all. 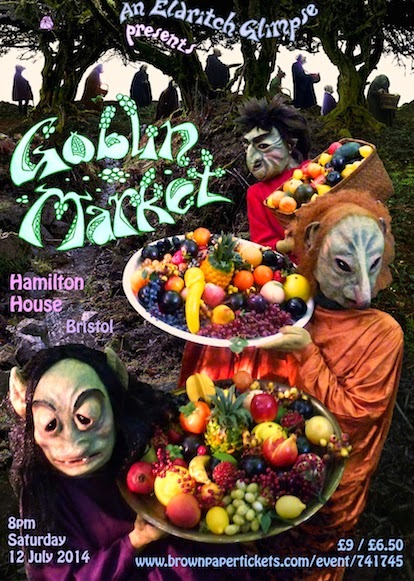 Having sold-out in Brighton last year, a group of queer pagans are doing a mini-tour of Goblin Market, starting in Bristol for one night - Saturday 12 July. Later dates will be in Brighton (August) & London (September, hopefully)......and if all goes well, more venues later...Nottingham is one possibility. They really need to fill the Bristol auditorium though I realize it's quite short notice.......so please spread the word to anyone one you know in the South-West & West of England or in Wales who might enjoy the show. 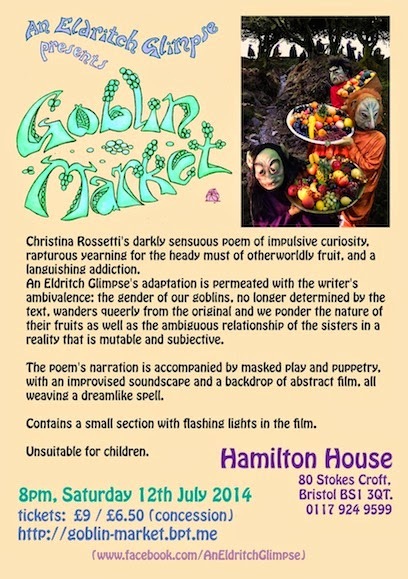 Tickets are now on sale online so please encourage people to buy them....if we do sell out (and I do hope so!) there will be few, if any, tickets at the door. These last few days have been dreadfully sad as day after day more news of the horrors that were perpetrated on the babies and young children who died in the Christian Mother & Baby Homes is published. Putting into words exactly how I feel is exceedingly difficult, words like Barbaric, Vile and Despicable come into my mind. In some ways perhaps, I now have a greater understanding of how the non-combatant Germans felt on hearing of the horrors of the concentration camps. For both organisations deployed their tyranny over the innocent. This is the third set of diabolical secrets that have come to light in recent years and all of them against young women and children. 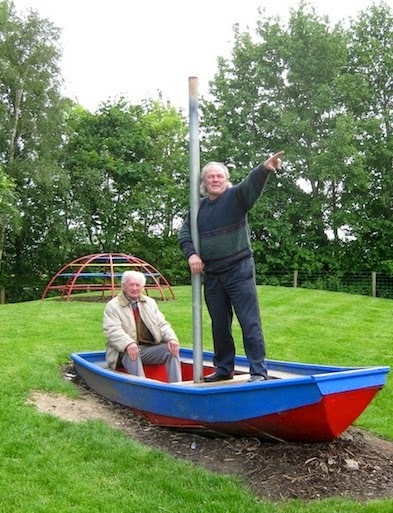 I ask myself why should I be surprised, considering that there are ancient places in every locality in Ireland that have been used for the burial of unbaptised babies and suicides who were banned from burial in Roman Catholic cemeteries. One may ask how all these atrocities were ignored by the authorities and it is because of the dominance of a christian sect, namely the Roman Catholic Church who were given total control over the welfare of the nation's Colleges, Schools, Hospitals and various Institutional Homes. The majority of people,the politicians, civil servants, Garda(Police) and Armed Forces personnel have been educated by the R.C.C. and brainwashed into believing that this particular sect is the sole authority of their one great God. Fear was and is the key. Keep the people in fear that they won't go to heaven unless they obey all of the R.C.C. rules. This Tyranny of Fear has been practiced by them for centuries. "If Mr Jesus returned today would he recognise The Church as being an organisation that represents his views and values?" This generally met with silence and/or a slight shaking of the head. Although I am not a christian I did spend a considerable amount of time as a younger man researching christianity and other religions, none of which I was drawn to. Christianity is supposed to be based on Love and Forgiveness yet the way in which it is practised love and forgiveness are subject to conditions not mentioned by Mr Jesus. Since the three sets of atrocities have come to the fore, there has been a steady decline of church attendance in towns and cities, as peoples awareness of the rights of individuals and the wrongs of church officials becomes apparent. That is no bad thing. The other day we went on a days' tour to some ancient sites. About 3 miles outside of Tullow, Co.Carlow on the N81, we made our first stop to view the stone that ultimately led to the death of Niall of the Nine Hostages, according to Irish mythology. For it was here that he chained Eochaid, son of Énnae Cennsalach,a king of Leinster. However, all did not bode well as Eochaid broke free and killed his captors - the nine warriors who Niall had sent to kill him. Some years later Eochaid executed further retribution by killing Niall in Scotland with an arrow. 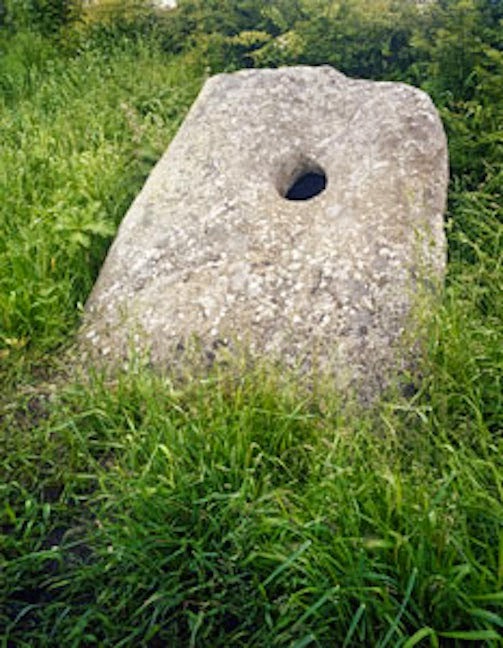 More recently this ancient stone was used in the healing of children suffering from rickets by passing them through the hole. You can see from the photo what effect a surfeit of chocolate cake did to these two lads. Mrs H and I are of course immune from such antics, due to making regular visits to such establishments. The highlight of our tour and the jewel in the crown of the area was found about ten minutes drive away from the Chocolate Garden. 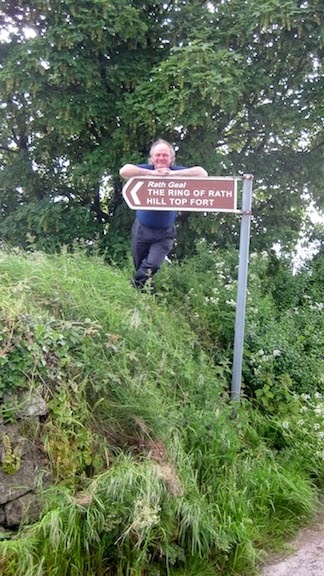 An ancient site which the locals refer to as The Ring of the Rath or more formally Rathgall, sign-posted as Rath Geal - it matters not for this was the seat of The Kings of Leinster. Of all of the old places that I have visited this one has the most amazingly powerful earth energies flowing around and through the hill fort. We were all very aware of what we were experiencing as walked towards the rath. We didn't need dowsing rods or pendulums for each of us could sense the vibrant energies flowing through our bodies. 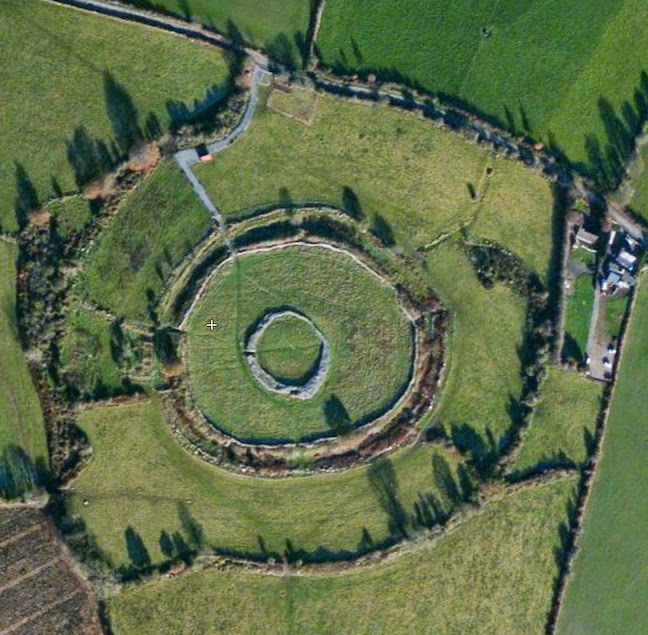 Rathgall is a multivate hill fort, with four concentric stone walls encompassing an area of 18 acres (7.5 hectares) and encircled by mountains. The inner stone wall is roughly 1.3 metres high and the ring it encloses measures fifteen metres in diameter. We explored the immediate area around the rath and found evidence of other stones, possible sites and a small copse. I do encourage all residents and visitors to Ireland to experience both of these ancient sites for am sure you will be delighted. Parking to both places is limited to about three cars so you won't be crowded out by sightseers, plus access is an easy walk.